Disney is crapping a whole metric buttload of Disney+ information out onto the internet today, deluging fans with such tasty-to-someone-presumably tidbits as the service’s hosting of that live-action Lady And The Tramp remake, or a High School Musical TV series. Still, the social media drones at the corporate mega-home were smart enough to keep back some of the big items for last, namely the reveal that the streaming service will soon be the exclusive online home of the entire Simpsons clan, along with the rest of Springfield’s stable of beloved degenerates. Streaming rights for Fox’s personal four-fingered gold mine have always been closely guarded, presumably because everyone involved knew how potent the ability to let fans zone out in an endless loop of the show’s first 10/11/12/insert-your-personal-stopping-point-here seasons could be. Indeed, the show’s draw was strong enough that FX managed to build an entire separate little streaming service, Simpsons World, out of our collective desire to hang out on Evergreen Terrace. But that was in the old, pre-corporate-synergy days. 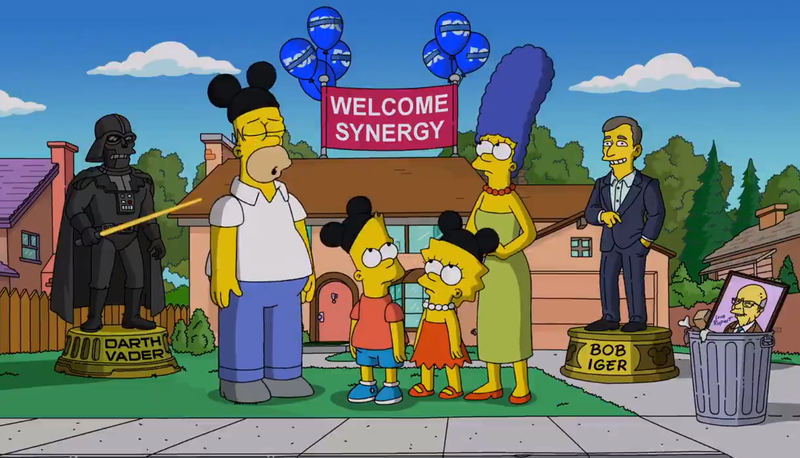 And while the brief above video of the Simpson family welcoming viewers to their new home is full of sharp little digs at their new owners—and one final kiss-off to bad ol’ Rupert Murdoch—this is also one of the first Disney+ offerings on display that feels like it might actually distinguish the new service from its headstart-heavy competition. Everything’s coming up Disney, as usual.